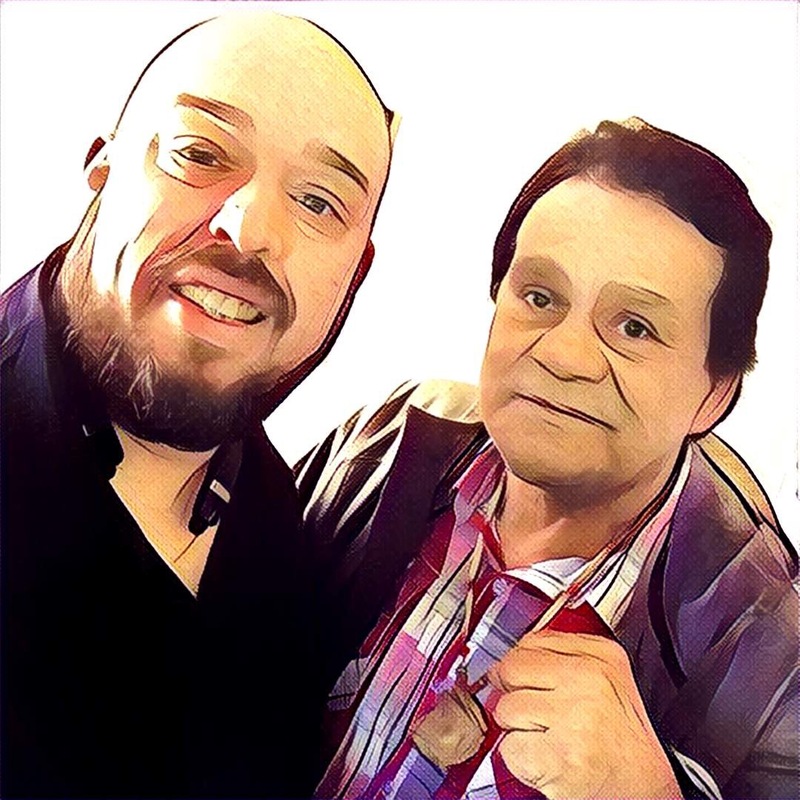 If you have followed me on social media the past few weeks (especially on Snapchat) you would know that I have been very excited about the upcoming theatrical release of Hands of Stone, a movie based on the life of Roberto “Manos de Piedra” Duran. Now my excitement is driven by the fact that I am a big Roberto Duran fan and that was amplified significantly with having been one of the people selected to assist with the press tour of this film and having to work directly with the champ himself. Now I know that it is said that one should be careful about meeting your heroes, because it could be the first step in them not being your heroes anymore… but nothing can be further from the truth. Roberto Duran is a family man, simple in so many ways but ultimately someone who cares about the people loyal to him. In addition… he is infectiously confident and truly believes he is the best… pretty much making him an even bigger legend in my book. I wrote this piece, not as a review of the movie (which I did personally love) but as a supplement to give you my insight on some of the the things I believe make this a big win for Latino filmmaking and an even bigger win for audiences looking for true stories that defy the usual “Latino” Hollywood narrative. (as a Latino) about the Hands of Stone Movie. 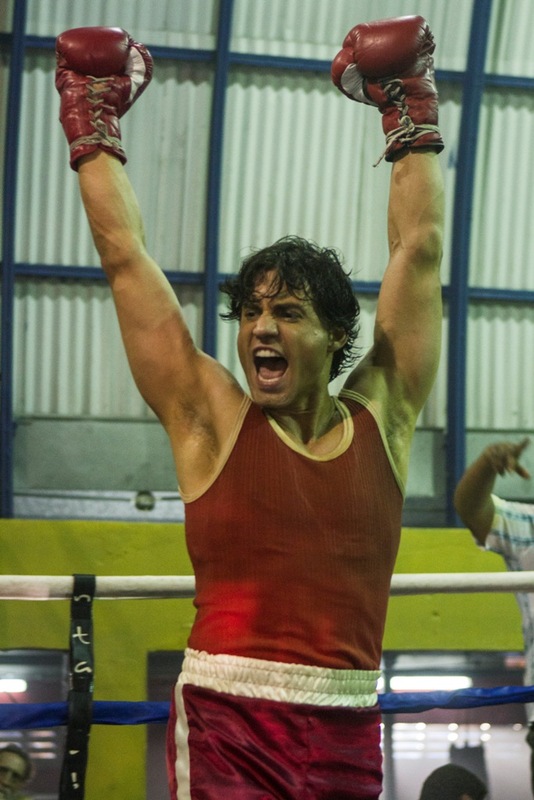 1 – The writer, directors and leads are Latino: which makes me extremely happy because if Hollywood would have had its way… Leonardo DiCaprio could have possibly have been cast as Roberto Duran. (do not laugh, it has happened). So here is the actual lineup, The movie was written and directed by Jonathan Jakubowicz (Secuestro Express). Hands of Stone stars Édgar Ramírez as Roberto Duran, Ana de Armas as Felicidad, Duran’s teenage sweetheart and wife of 40+ years. In the supporting cast you also have another Panamanian national hero, Ruben Blades who plays Duran’s manager. Supporting them you have great names like Robert De Niro, Usher, Ellen Barkin, John Turturro and Spanish actor Oscar Jaenada. 2 – The Director Jonathan Jakubowicz, on advice from Robert De Niro, took the film to Panama, a country with no active film industry to raise the money and create partnerships that would make his film a reality. De Niro’s exact words were “Go to Panama. Sometimes money has to have a reason to invest in a movie. You’re more likely to find that reason in the land where Durán is a national hero.” It apparently was advice worth following as the community really embraced the project creating a once in the life time opportunity for the people to pay tribute to Duran. For example, The Panamanian Govt. lent the Roberto Duran Stadium to production for 4 weeks rent free so that they could keep the film production in Panama. That stadium was the blank canvas in which a vintage Madison Square Garden and Astrodome was recreated for the movie’s fight night scenes that featured over 15,000 extras from the local community. 4 – It is not everyday that a filmmaker beats the odds and gets to make a movie that shows a Latino as a hero. In Hands of Stone, you see Roberto Duran fight his way out of poverty, become a national hero, make mistakes and comes back to fight 18 more years after the curtain closes on this film. This is a departure from the typical Latino roles that Hollywood has recycled over and over again. This is proof that our stories matter and have way more depth. If this piece resonates… Please take a moment to read Why Latino Movie Stars Have Never Been More Necessary (Vulture) written by Jonathan himself about the challenges and triumphs of making a movie like this. 5 – This movie is not an independent film, it is distributed by The Weinstein Company. This is a movie with two Latino leads opening wide in the US and Panama. It opens today (August 26th, 2016) in 801 theaters and going as far as 2500 by Labor Day weekend. This is a great opportunity for us as Latinos to show Hollywood that this the kinds of stories we want to see on the silver screen. I hope you enjoyed learning a little more why we should invest in this type of project, I promise to continue highlighting accomplishments in the TV / Movie world as I learn about them. So make tonight a #LatinoMovieNight and see the movie for yourself. You do not have to be a boxing fan to enjoy this movie, it is a story of struggle and success against all odds that happens to feature a Latino sports legend. 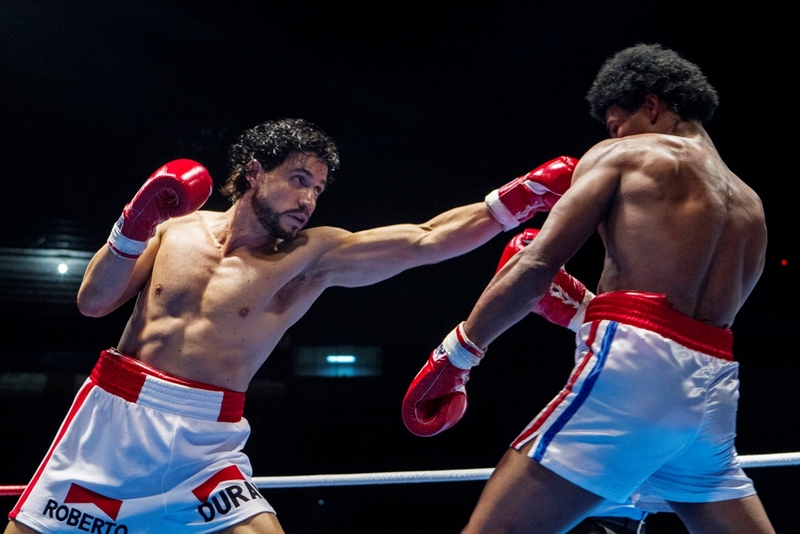 Golden Globe Best Actor Nominee Edgar Ramirez stars as Roberto “Hands of Stone” Duran. The son of an American Marine who has an affair with a local girl while occupying Panama, Duran grows up with the will to avenge his nation’s pride. He fights the top American boxers in the most important arenas in North America. Next to him, Ray Arcel, an American, gives intelligence and strength to his rage, teaching him technique and strategy ultimately leading Duran from rise and fall to redemption. 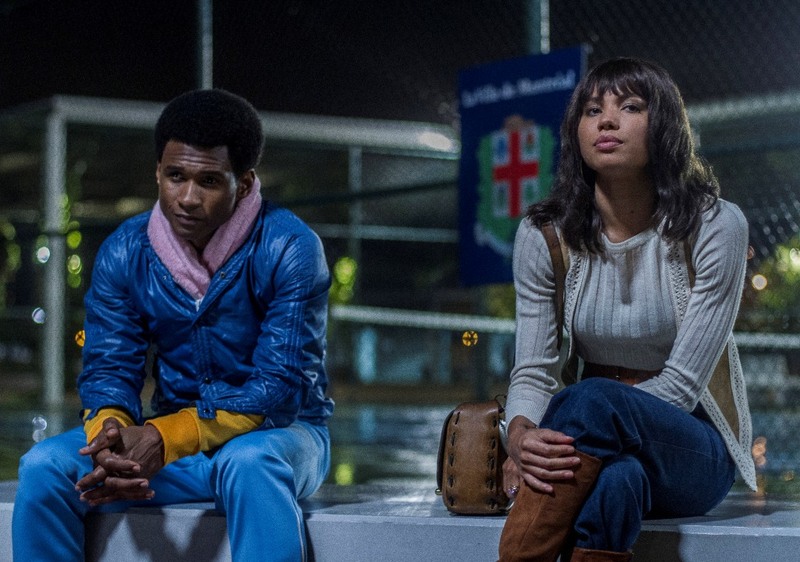 Eight time Grammy Award Winner, Usher Raymond IV stars as the sports icon Sugar Ray Leonard. He was the first boxer to earn more than $100 million in purses, and is widely considered one of the best boxers of all time. Roberto Duran gave him his first defeat, and in his words taught him that “boxing is a psychological sport.” Both Duran and Leonard have a karmic effect on each other’s journey. They come of age as only the best opponents can in what many experts consider the biggest rivalry in the history of sports. 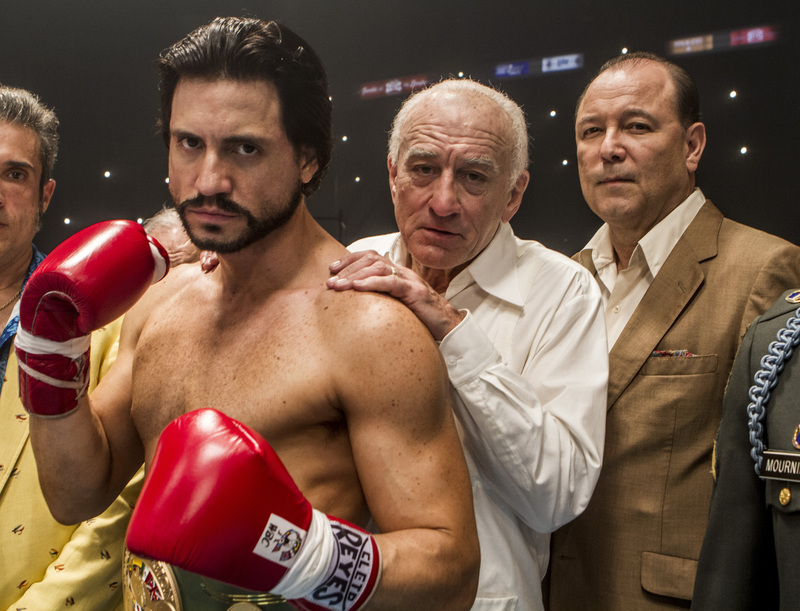 Disclosure: This article is based on information I learned about the Hands of Stone film while on a paid assignment with Roberto Duran, Jonathan Jakubowicz and Edgar Ramirez during their press tour. This post is #notsponsored and the themes discussed here are a continuation of an online conversation I started online when I decided to launch www.LatinoMovieNight.com weeks before I had this assignment. We need to tell bigger stories.